I recently read an article that suggests that perhaps the Huns invading Rome had once been a foe and eventually conquered and forced to migrate by the Mongol empire,this interesting idea completely changed my concept of the Huns and their war tactics,but is it actually fact? When most people think of "Huns" and "Mongols", they are thinking of Atilla's empire of the mid 400's and Genghis Khan's Mongolian Empire of the 1200's. Since there's a good 800 years between them, obviously the answer is "no" on that level. It sounds like what you heard is the story of the Yuezhi. As you can probably tell from the name, we know about them through Chinese records. In the 2nd century BC the Chinese report they were defeated by the Xiongnu. The Xiongnu were based in Mongolia, but predated the Mongol people by a long ways (and are actually yet another candidate for the ancestors of the Huns). The larger part of the Yuezhi were chased westward. There used to be a serious theory that these were the people westerners called "Huns", and this is how they came to be in the Caspian Sea area that we find the Huns in 600 years later. My sainted Penguin Atlas of Ancient History shows this on one of its maps. 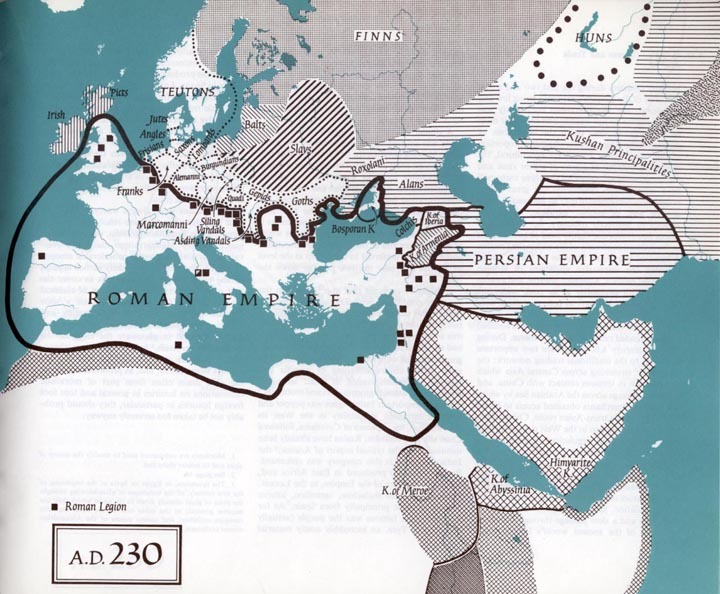 I couldn't find a copy online, but here's an intermediate map from that book that postulates the Huns being in the position they'd have to be in if they were descended from the Yuezhi (for historiographical purposes only!). Note that the date is actually prior to any historical record of the Huns, so this is just his supposition. However, that theory is one of many, and not a particularly favored one these days either. As of now there is no consensus on who the Huns were, or where they came from, and this is not one of the leading theories. Even Mr. McEverdy "corrected" this in the "New ..." edition of his atlases. If you look at the ones for sale today, the Huns do not appear on any map prior to 362AD, when they appear in western sources. Not the answer you're looking for? Browse other questions tagged mongol-empire steppe-nomads or ask your own question. What is the historical evidence for asserting Huns were one and the same as Xiongnu? What was the attitude of Mongols to conquered peoples? Did the Great Wall of China help cause the fall of the Roman Empire? Were the Pechenegs at some point Manicheans? What's the difference between Khan and Taishi/Taisha? How were the invasions of Korea by the Mongols and the Manchus similar?